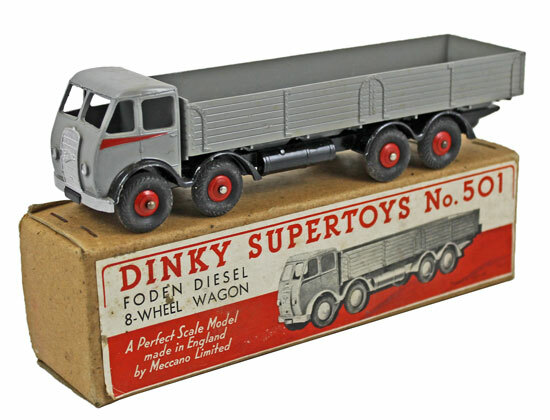 In our last Die Cast, Model Soldiers and Toys Auction of the year there were over 420 lots on offer to our keen bidders. 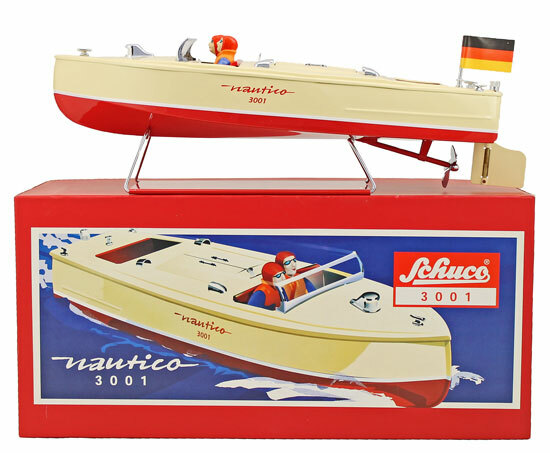 In our tinplate toys section this modern Schuco ‘Nautico’ clockwork speedboat realised £114. This rare Britains ‘Soldiers that Shoot’ model soldiers set No. 25 (1893 Patent) achieved £492. Moving on to the die cast section an excellent range of Corgi was offered. 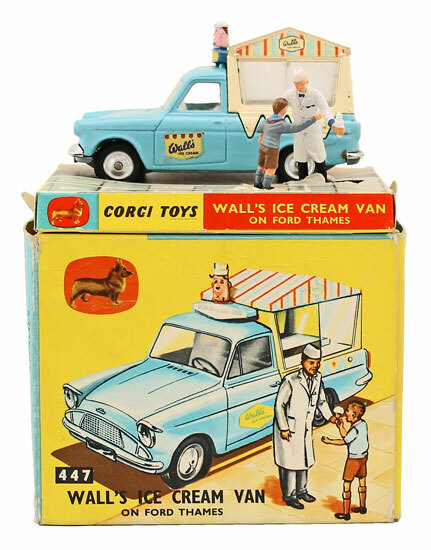 Highlights included this Ford Thames Wall’s Ice Cream Van No. 447 which sold for £240. 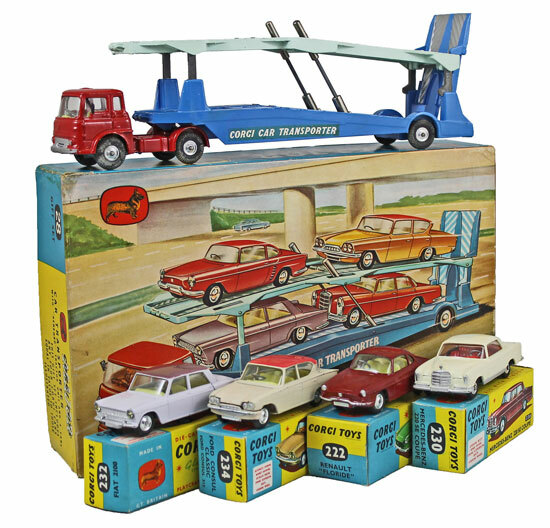 This Transporter and 4 Cars Gift Set No. 28 realised £348. 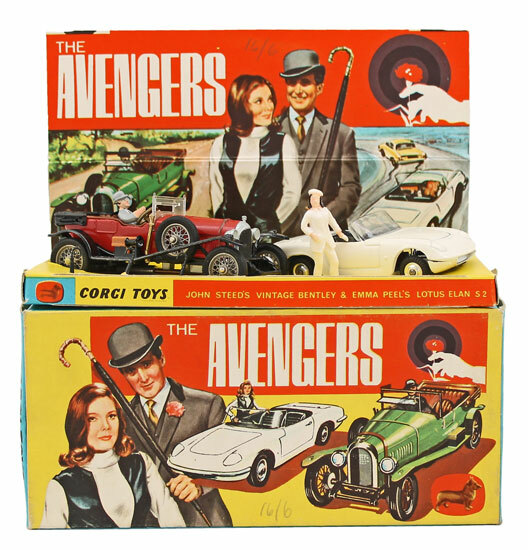 And this Avengers Gift Set No. GS40 achieved £312. 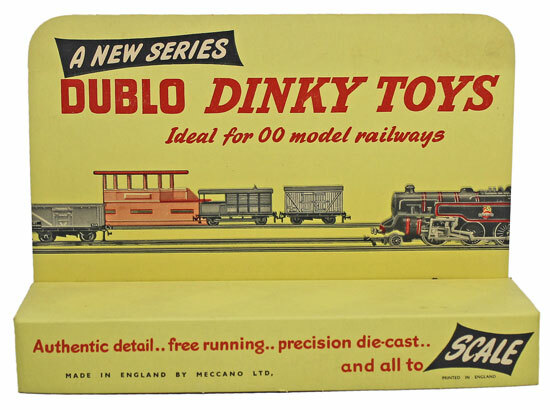 There was also a fantastic range of Dinky offered in this auction. This pre-war Mechanical Horse and Trailer No. 33d sold for £216. This Foden Diesel 8-Wheel Wagon No. 501 realised £276. 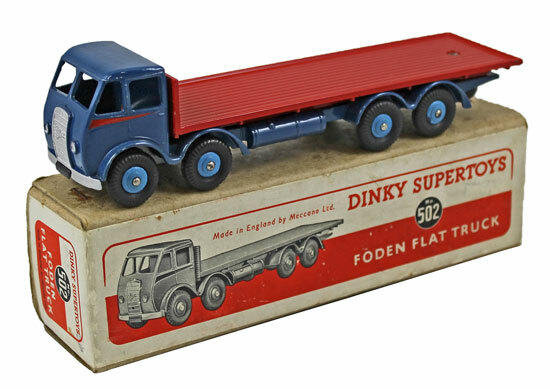 This Foden 8-Wheel Flat Truck achieved £516. And this This Guy Flat Truck No. 512 sold for £264. 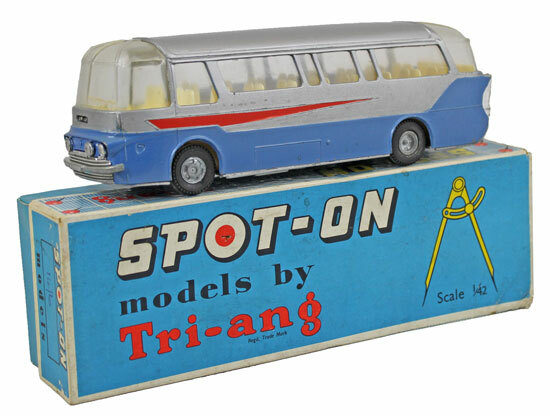 In the Dublo Dinky section this unusual 1950s shop display stand realised £300. 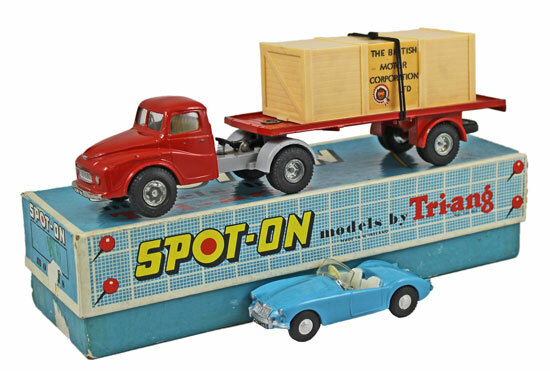 There were also very respectable results for Spot-On models this auction, including this Austin Prime Mover and MGA Sports No. 106A/OC which achieved £228. This Mulliner Coach No. 156 sold for £120. And this Tonibell Ice Cream Van No. 265 realised £228. 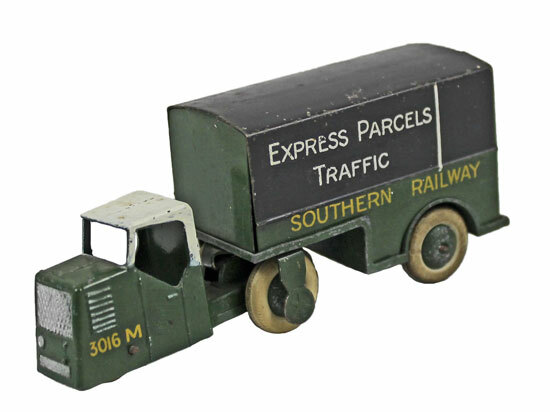 Our next die cast, model soldiers and toys auction will be held on Wednesday 23rd January 2019. 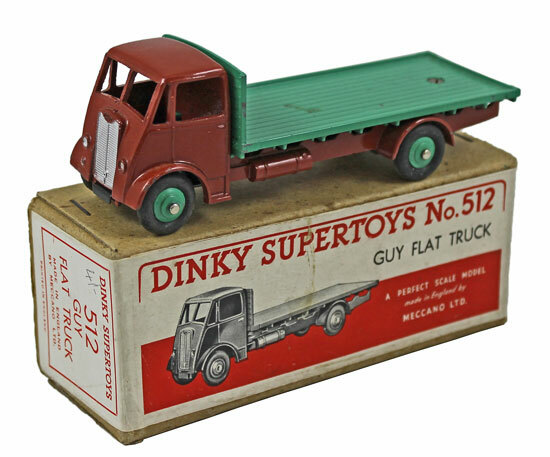 The full catalogue for this sale will be on our website in the next few weeks or keep an eye on our Twitter and Facebook pages which will include updates of our latest auction news.